Brenaissance for Pizza and Wine! 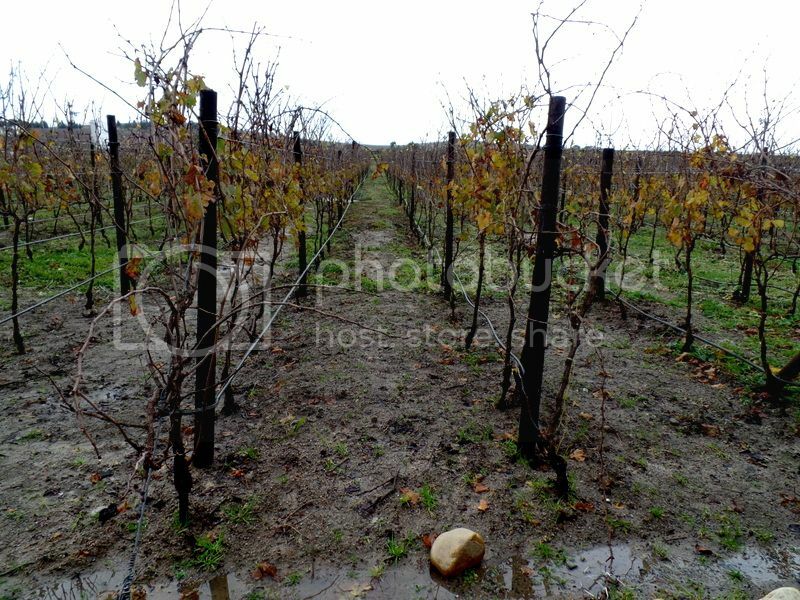 On a miserable winters day we found ourselves in Stellenbosch. We had ticked off stop one for wine and were now in need of warmth and comfort food. This led us to Brenaissance! 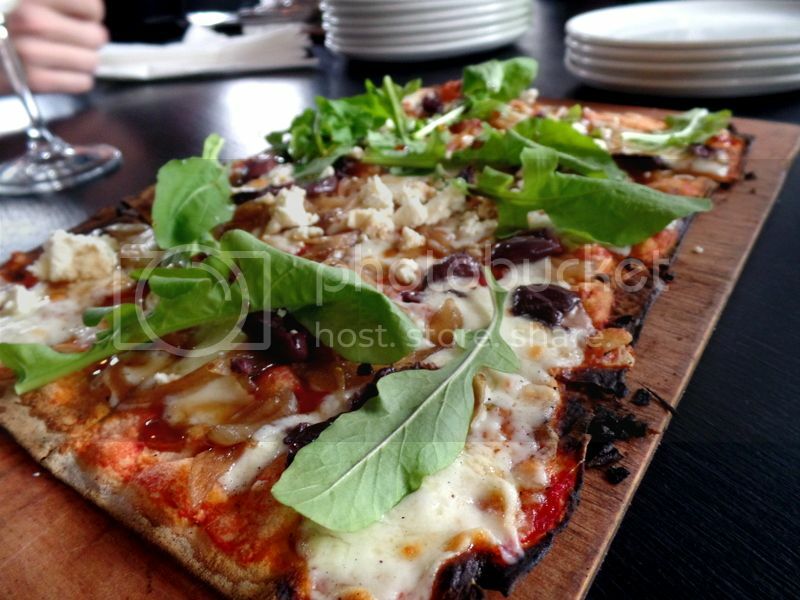 We visited Cafe Blanc de Noir for their delicious pizzas! 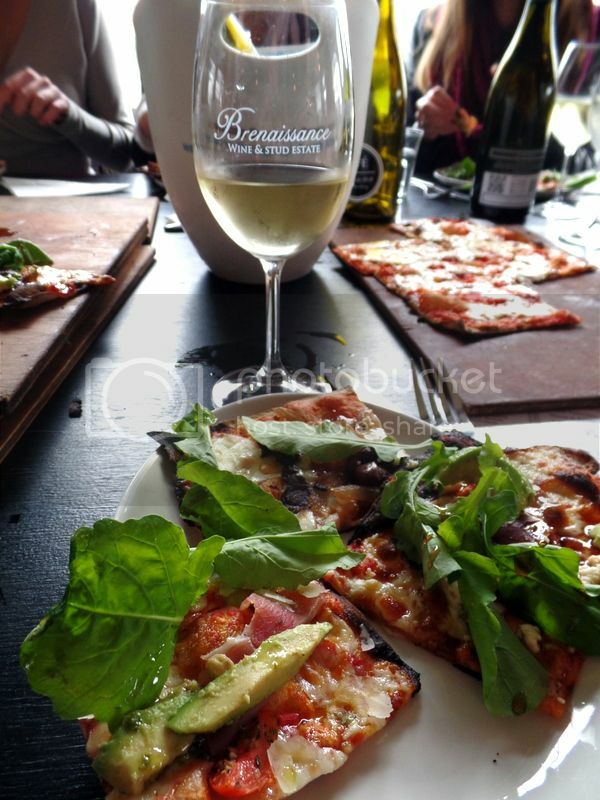 Brenaissance offers a pizza and wine pairing. However we were a very large group with different budgets so opted to order pizzas off the menu and a few bottles of wine. This worked out perfectly as we left full and a little giggling only paying R100 each with tip. 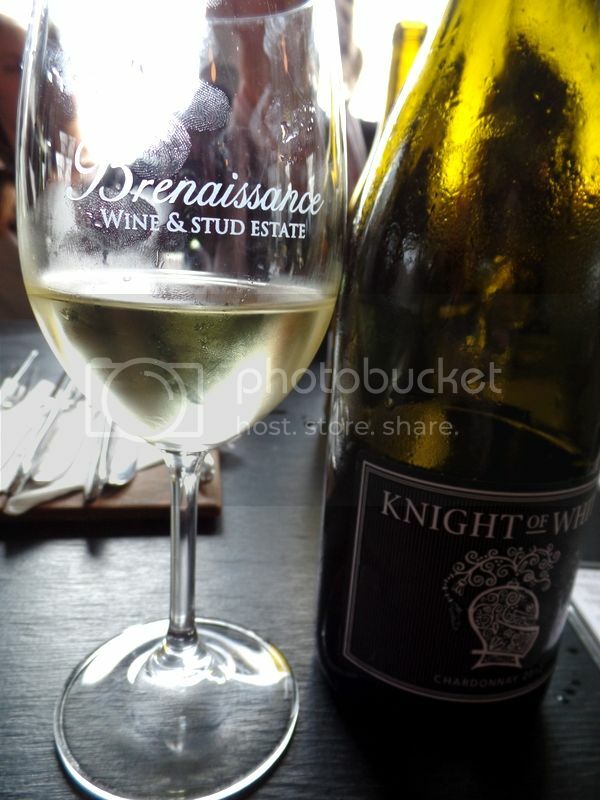 As far as the wine goes I tried both the Knight of White Chardonnay and the Lady H Sauvignon Blanc. These were not especially stand out wines but good for knocking back with our many slices of pizza. 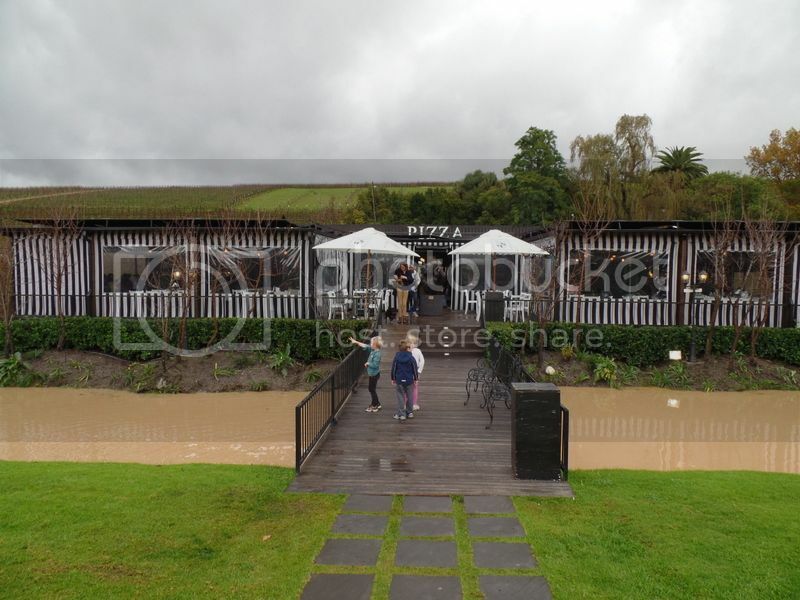 I’ll have to return to try their red wines some time soon. The pizzas were really delicious – fantastic skinny based pizzas with crispy corners, sweet tomato sauce and stringy mozzarella. And the toppings were super gourmet and right up my street! 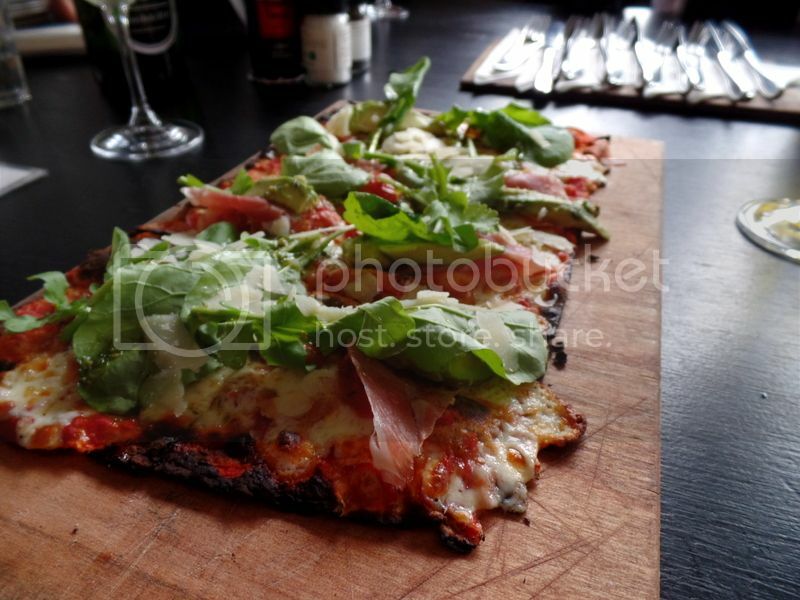 One of our favourites was the Parma ham pizza for R90 which included rosa tomatoes, avo, Parmesan shavings, pesto and rocket. They certainly spoil you with ingredients with plenty of Parmesan shavings and parma ham. The Biltong pizza for R85 also disappeared very quickly! The biltong pizza included sweet figs, danish feta, avo, balsamic glaze and rocket. The sweet sweet figs with slight tart and creamy feta and salty biltong was a serious taste sensation! I will definitely be replicating this pizza in our pizza oven at home in the summer months to come. We tried a margarita pizza for R65 which was delicious but boring in comparison to the amazing flavours racing around the table and into eager mouths. There was also a Cajun chicken pizza for R85 with chorizo, red onions, mushrooms, chili olive oil and rocket. This pizza was perfect for warming us up with that slight kick from the chili olive oil and Cajun style chicken. And the last of the fabulous flavours was the Caramelised onion pizza for R80 with olives, danish feta, balsamic glaze and rocket. I’m not an olive fan but this might have surprisingly been my favourite pizza. The sweet onions with the slightly bitter and sour olives with the creamy feta was absolutely incredible! This was a serious wow combination! We had a seriously delicious lunch at Cafe Blanc de Noir and I can’t wait to head back out for more fantastic pizza! 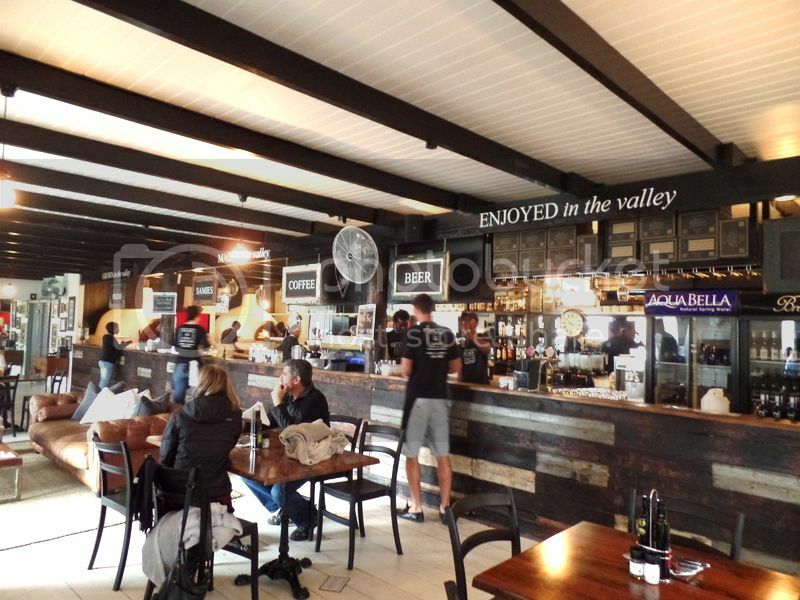 Cafe Blanc de Noir is perfect for a casual quick lunch at a very affordable price. We were also impressed with how efficient the service was and there was hardly a delay in between our staggered pizza orders. The restaurant is decorated in line with their name with a beautiful black and white decor both inside and out. When we were there on Saturday afternoon there was live music to add to the festivities.